The basic objective of the Department of Economics is the development of students’ understanding of economics as the social science that deals with production, consumption, and market exchange activities. All students begin with ECON 151 - Introduction to Economics . Majors advance through a core of analytical courses and choose among a series of options in theoretical and applied economics. Students with an interest in graduate work leading to careers in such fields as economics, law, business, public administration, or the foreign service are asked to discuss these objectives early in their college careers in order to plan an adequate program in economics. While not an undergraduate business or professional school, the department provides essential background for a variety of career interests. ECON 251 , ECON 252 , and ECON 375 are prerequisites for all courses above 375. Courses numbered below ECON 150, including ECON 105 , cannot be counted as part of the major program. For students considering graduate school in business administration, at least two courses in mathematics (preferably MATH 161 and MATH 162 ) and one computer science course (such as COSC 101 ) are strongly recommended. Students considering graduate school in economics are strongly encouraged to take these courses, as well as additional courses in mathematics, including MATH 214 and MATH 377 . Students with these interests should also consider the mathematical economics major described here and consult with their academic adviser as early as possible. Students considering graduate work in economics leading to a PhD should consider pursuing a double major in economics and mathematics. The Chi-Ming Hou Award for Excellence in International Economics — established in honor of the late Chi-Ming Hou, who was a member of the Colgate economics department from 1956 to 1991, for outstanding achievement in international economics. The Marshall-Keynes Award for Excellence in Economics — awarded by the department to the senior with the strongest, sustained performance in analytical economics and on the basis of the comprehensive examination. The J. Melbourne Shortliffe Prizes — established in honor of the late J. Melbourne Shortliffe, chair of the economics department emeritus, and awarded to outstanding graduating seniors who have majored in economics. A score of 4 or 5 on both the microeconomics and macroeconomics AP exams will exempt incoming students from ECON 151 ; no credit is given if only one AP exam is taken or if a score of 3 or lower is received on either exam. No transfer credit is given for ECON 105 - Principles of Accounting . Except for students transferring from another college or university, no transfer credit will be given for ECON 251 , ECON 252 , or ECON 375 , and no more than two economics courses taken elsewhere can be accepted for major credit. These courses must be comparable to what is offered in a liberal arts economics program. Students who hope to transfer course credit must consult with the department chair prior to enrolling elsewhere. Students returning from summer courses or study groups are not entitled to retroactively seek major credit in the department. 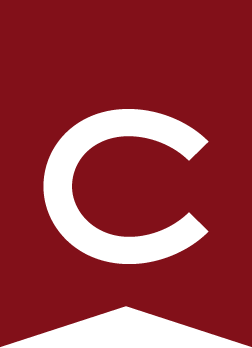 Students participating in a Colgate approved program are only eligible for major credit when attending programs on the departmental approved list: up to two courses taken on a departmentally approved program may be transferred towards the major and one course may be transferred towards the minor. No major or minor credit is granted for courses taken while participating in an approved program that is not on the economics department list, and no minor credit is given for any other courses, including summer courses. All transfer courses must have a minimum prerequisite that is equivalent to Colgate’s ECON 151 course and the department recommends taking courses that have ECON 251 and/or ECON 252 as prerequisites. Students who transfer to Colgate from other institutions may be granted more than two course credits toward the major at the discretion of the department chair. To be invited to participate in the honors program, students need a minimum 3.33 GPA in the three core courses: ECON 251 , ECON 252 , and ECON 375 . To qualify for departmental honors, a student must enroll in the year-long honors seminar (ECON 489 and ECON 490 ) in which each student writes an honors thesis. Students also present their projects to the seminar and act as discussants of other projects. Certification of honors and high honors will be based mainly on the quality of the honors paper. In addition, honors candidates must have, at graduation, a B+ average (A– for high honors) in the nine economics courses taken for major credit, and must receive a satisfactory grade in ECON 490 . Special rules apply to honors in mathematical economics. qualifying for these honors in mathematical economics by satisfying the same criteria except that the departmental GPA is calculated for all 13 of the required courses. Based in London, the group studies selected economic problems and institutions of the United Kingdom and the European community. See Off-Campus Study .